Lately I have become very interested in how someone's background affects their music. As listeners, we know Miles Davis for such albums as Kind of Blue and Birth of the Cool. However, to learn that he grew up in St. Louis can help us learn about how he came to be. Each city has their own sound and their own history from New Orleans to Chicago to New York. In this spirit, I wanted to share five jazz musicians that grew up in Boston. Drummer Roy Haynes is from Roxbury, MA. In addition to leading his own bands, including Fountain of Youth, Haynes has been a sideman for everyone from Charlie Parker to Stan Getz to Miles Davis and more. 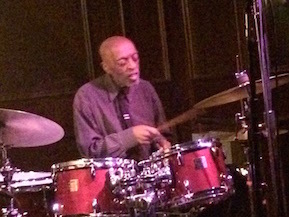 I was able to see Roy Haynes perform at Scullers in May 2015. It was a particularly enlightening concert because Roy Haynes at ninety years old was joking around, dancing and playing the drums with the energy and intensity of someone a quarter of his age. Between songs Roy would tell stories about growing up in Roxbury and how when he was twenty years old in Boston he got a telegram to come to New York City. His love of life no doubt rubbed off on everyone in the audience. Pianist Chick Corea is from Chelsea, MA. One of the major voices on piano, Chick has gone on to lead many famous bands, including Return to Forever. Many of his compositions have become standards, including "Spain," "Crystal Silence," "Light as a Feather," "500 Miles High," and more. I was able to see Chick perform at Boston's Wilbur Theater in April 2014. It was an unforgettable concert for many reasons. Firstly, Chick played over three hours - the longest concert I have been to. Secondly, Chick invited audience members up to the stage to play with him. Lastly, Chick's high school classmates from the 50s were in the audience and were cheering him on with such a pride for their roots. 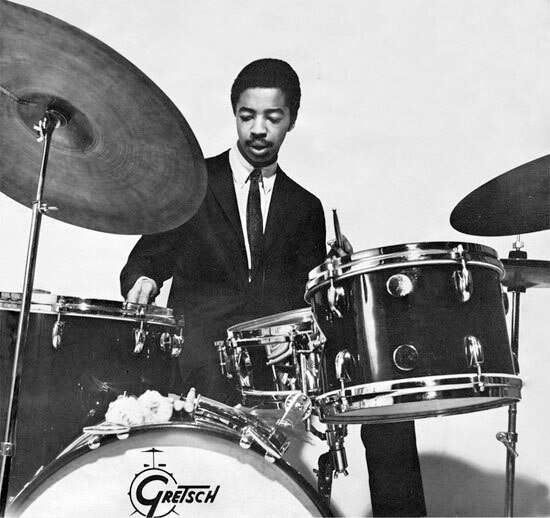 Drummer Tony Williams grew up in Boston, MA. One of the most influential drummers in jazz, Williams started playing professionally as a teenager, eventually joining Miles Davis' Second Great Quintet at the age of 17. Tony Williams never stayed in one place for too long. He was at the forefront of the avant-garde, playing in Eric Dolphy's famous Out to Lunch. Tony Williams' Lifetime band was at the forefront of jazz fusion, with their album Emergency!. Also, Williams led quartets and quintets that played all of his own original music. Baritone saxophonist Harry Carney grew up in Boston, MA. Carney is largely known for 45 year tenure in Duke Ellington's orchestra, making him the longest serving member of Ellington's orchestra. Carney's robust sound on the baritone saxophone has gone on to become the standard for the instrument. Duke Ellington wrote compositions to feature Carney's sound and musical personality, including "Sophisticated Lady," "In a Mellow Tone," and "Frustration." Duke and Carney were close friends, and Carney would often drive Ellington, while he composed in the passenger seat. Alto saxophonist Johnny Hodges grew up in Cambridge, MA. Known for being the lead alto saxophonist in Duke Ellington's Orchestra, Hodges became one of the identifying voices of the orchestra for his use of bends and vibrato. Hodges and Harry Carney actually grew up together, and both became staples of the Ellington orchestra. Duke Ellington wrote several compositions to feature Hodges' musical personality, including "Prelude to a Kiss, "Isfahan," and "I Got It Bad (And That Ain't Good)." Hodges was also a leading soloist of the ensemble, improvising masterfully melodic solos that acted as an extension of Ellington's compositions. It is amazing to realize the rich history of my city. Many great jazz musicians grew up in Boston, and many more have come to Boston to study at music schools such as Berklee. With pride, I am glad to experience Boston's jazz scene every day, and feel this connection to the past, present and future of Boston.